Chingmy Yau Uses Tactics to Prevent Daughter from Dating? Former Hong Kong actress, Chingmy Yau (邱淑貞) married I.T. Limited founder Sham Kar Wai (沈嘉偉) in October 1999 and gave birth to three beautiful daughters. Her eldest 17 year old Sham Yuet (沈月) attracts much attention for inheriting her mother’s good looks and having a “fairy-like” image. Due to this, Chingmy is especially on the guard to look out for Sham Yuet’s potential love interest. When Chingmy found out that Sham Yuet is dating a young man who looks like Korean top star, Lee Min Ho, Chingmy initially appeared to be supportive of the two lovebirds. 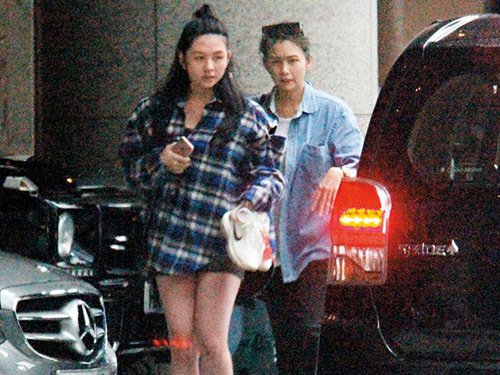 However, sources revealed that Chingmy is actually very nervous about the budding romance and has been keeping a close eye on her daughter. Chingmy is increasingly spending more time with Sham Yuet to supervise her daughter and make it difficult for Sham Yuet to see her boyfriend. During the weekday, Chingmy personally picks up her daughter from her international school and then escorts Sham Yuet for tutoring. 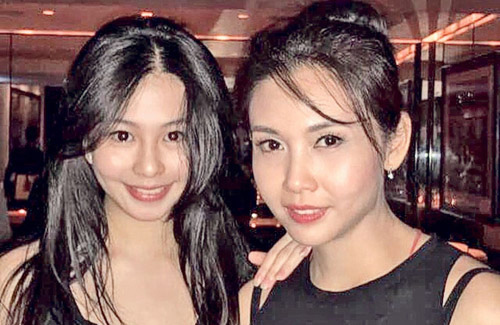 During their spare time, Chingmy uses the excuse of spending quality mother-daughter time together to go shopping, and stay close to Sham Yuet. Seeing her tactics are working, Chingmy deliberately fills Sham Yuet’s school holidays with various activities, including family gatherings. With a dense schedule, Chingmy hopes that Sham Yuet will have few dates and focus on her studies. 3 comments to Chingmy Yau Uses Tactics to Prevent Daughter from Dating? Rewatching those movies with Chingmy in it and she’s always the most prettiest actress in them. @mike I think Loretta Lee she’s pretty too. She’d be naive to think her daughter doesn’t know what she’s doing. Tbqh, it’s rather silly, the more interference you do, the more bad ways your child will find to combat your method.